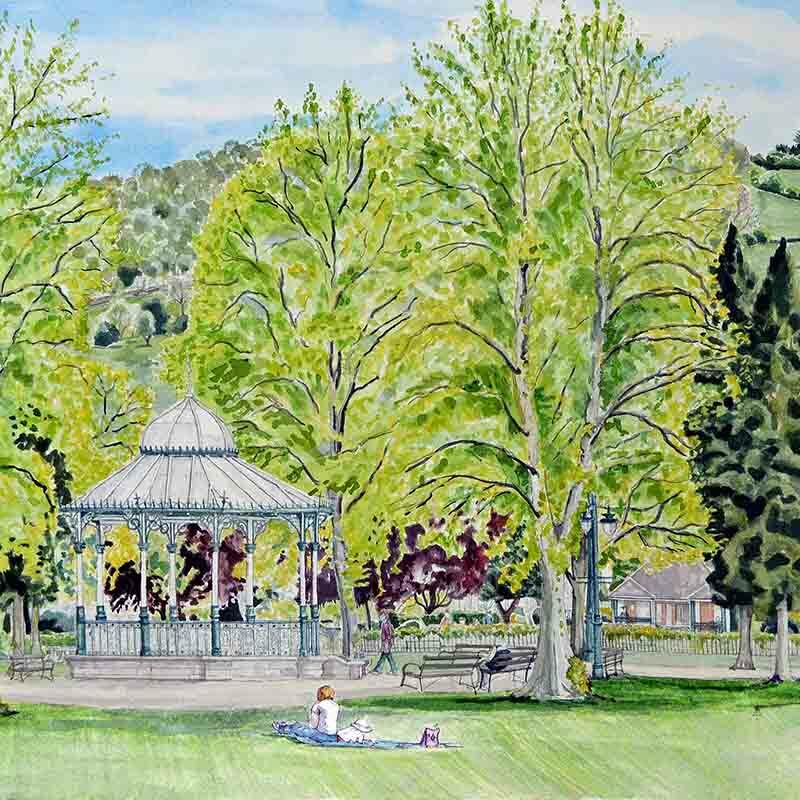 I create watercolours capturing the lived-in landscapes of Derbyshire Dales with its soft rolling tree-topped hills, dramatic cliff faces, green towns and parks. Generally choosing ‘less seen’ views, I look at the way built environment sits within the landscape, man-made structures in the undulating land. I aim to retain tangible recognisable elements of place whilst responding in a sketchy style. 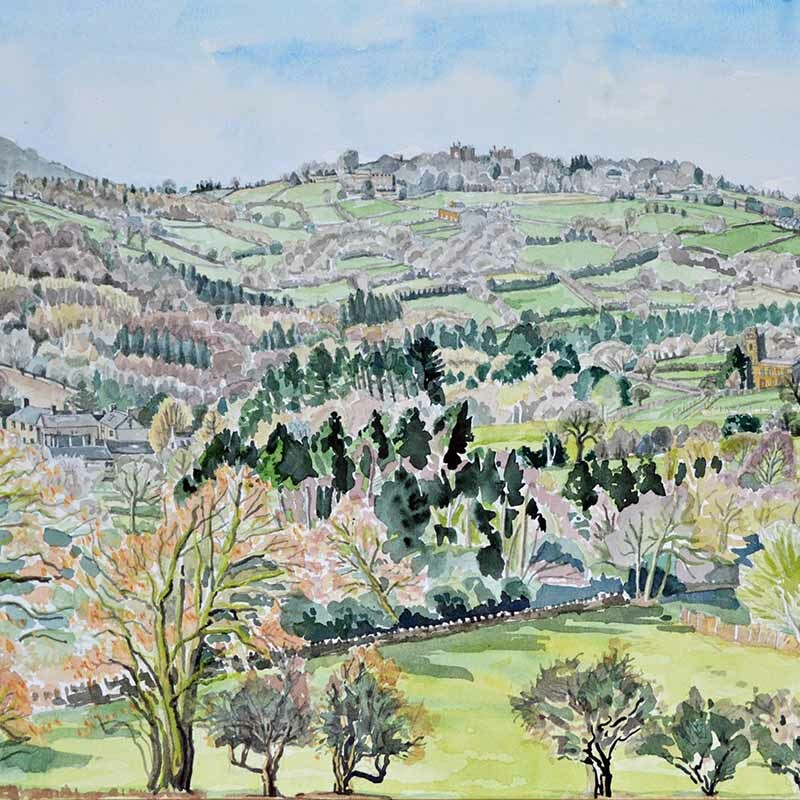 I have a love of pattern and Chinese brush painting and a respect for the work of Hockney, Ravilious, Piper and Nash. 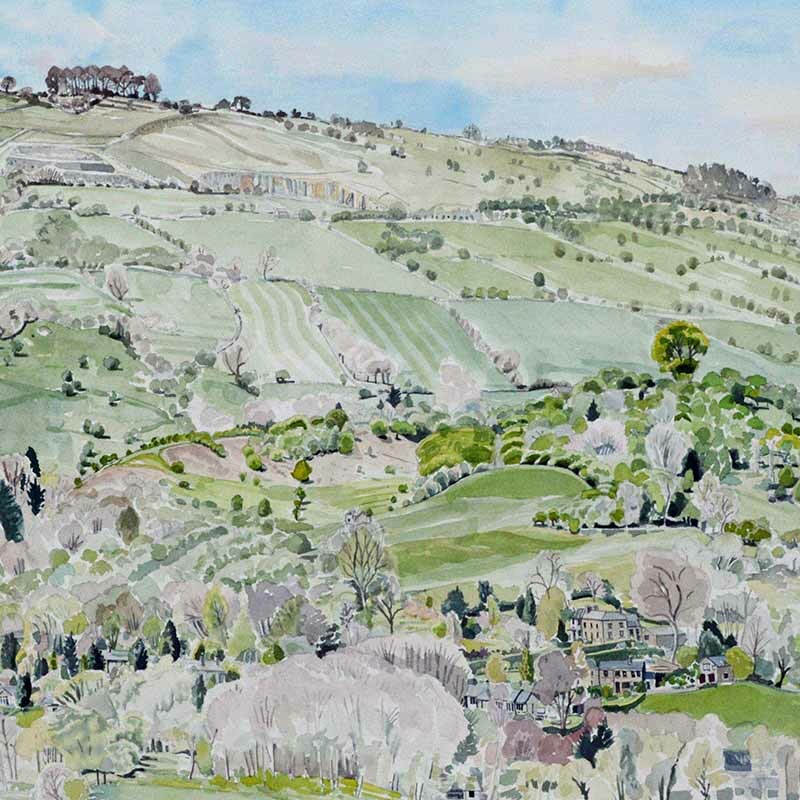 I have been described as ‘THE artist depicting Derbyshire Dales’ by an art curator.